While lurking on reddit, a post caught my attention. A redditor wanted to surprise his wife-to-be with a painting matching their wedding invitation cards. 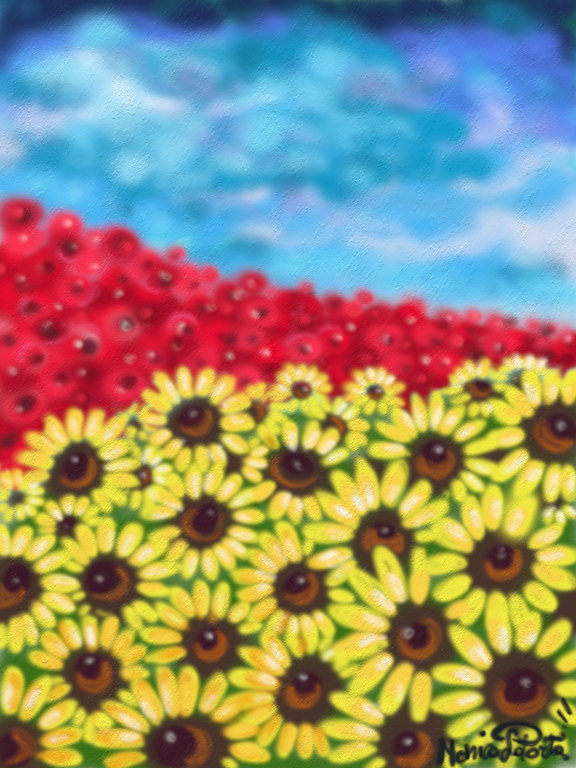 The theme was sunflowers and the reception was at an art gallery, I liked the idea and I sent to him the link to my deviantart’s page.